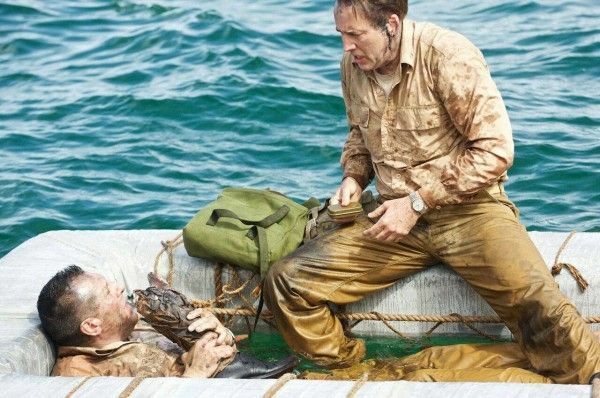 A new trailer for USS Indianapolis: Men of Courage has landed online, and hoo-boy this thing does not look great. The film recounts the famous and haunting true story of the crew of the USS Indianapolis, who in 1945 were torpedoed by a Japanese submarine and stranded at sea for five days, during which most of the crew were either eaten by sharks or killed by salt-water poisoning from drinking the ocean water. It’s a terribly upsetting story that was famously recounted in one of the best monologues ever delivered in Jaws, and now it’s been mined for an awful straight-to-video-looking feature film starring Nicolas Cage. Mario Van Peebles directs this new film iteration, which is chock-full of horribly cheap CGI and dreadful cinematography. This is the epitome of Cage slumming it, and one wonders exactly how big this paycheck was to get Cage onboard. Look, I think Cage is a genuinely talented actor (he won a Best Actor Oscar, remember? ), so it’s not fun to see him milling about in C-level film fare. The guy is in need of a career resurrection ASAP. Quentin Tarantino, what say you? 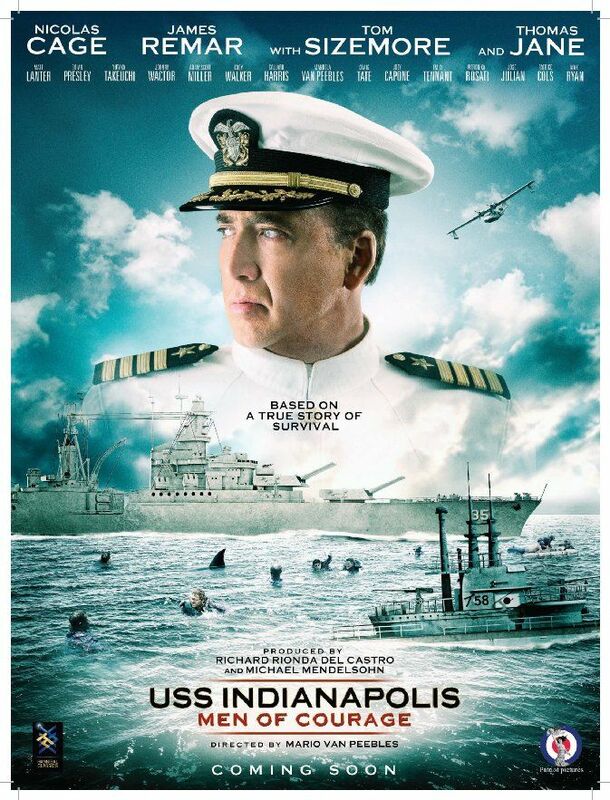 Anyway, check out the USS Indianapolis: Men of Courage trailer below. The film also stars Tom Sizemore and Thomas Jane.